Wednesday 20th April 2010, 6:00 pm. Speaker: Alan Newell, Emeritus Professor at the School of Computing at Dundee University. This event is free of charge, but tickets must be obtained in advance from the EISF. 60 % of people over 65 who do not use the internet, say: “it is not for me” and 30% say: “they do not have the skills”. Does this actually mean they are too scared or confused even to try, and what are they missing out? What are your views? This interactive theatre event will illustrate the trials and tribulations which older people can have when trying to use the internet. Tommy, Jack and Maureen are trying to enter the digital age (with a little help from “Skippy”!). How can Jack specify what he wants his computer to do when he can’t even switch it on, and will he be able to send an email? Tommy discovers the pitfalls of online banking, and what is Maureen going to do with all that spam? Come and enjoy yourselves and contribute to a discussion on what can be done to improve the situation. Alan Newell is an Emeritus Professor at the School of Computing at Dundee University, which contains one of the largest academic groups in the world researching into computer and communication systems for older and disabled people. 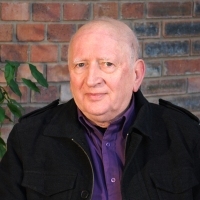 Alan has been researching into computer systems to assist older and disabled people and people for over forty years. He was elected a Fellow of the Royal Society of Edinburgh, and appointed a Member of the Order of the British Empire for this work. Since 2000, Alan has been particularly interested in the challenges technology provides to older people and has pioneered the use of professional theatre to raise awareness of these issues.